Ph.D., Organic Chemistry, University of Wisconson, Madison, WI (1985). Chemistry, University of Michigan, Ann Arbor, MI (1975). University of Detroit, Detroit, MI (1976-1978). Dr. Pete J. Bonk, Ph.D., is broadly experienced in technical management, process support, process validation, process development, cGMP and scale up in the pharmaceutical industry, as well as extensive experience in polymer chemistry. Dr. Bonk has worked with contract manufacturing organizations for the synthesis of pre-Phase I and Phase I drug candidates and has extensive involvement with DEA Controlled Substances Schedules I-IV. Dr. Bonk is a pharmaceutical expert on the drugs hydromorphone, oxycodone, fentanyl, codeine, hydrocodone, MS Contin, Oxycontin, and Ryzolt. 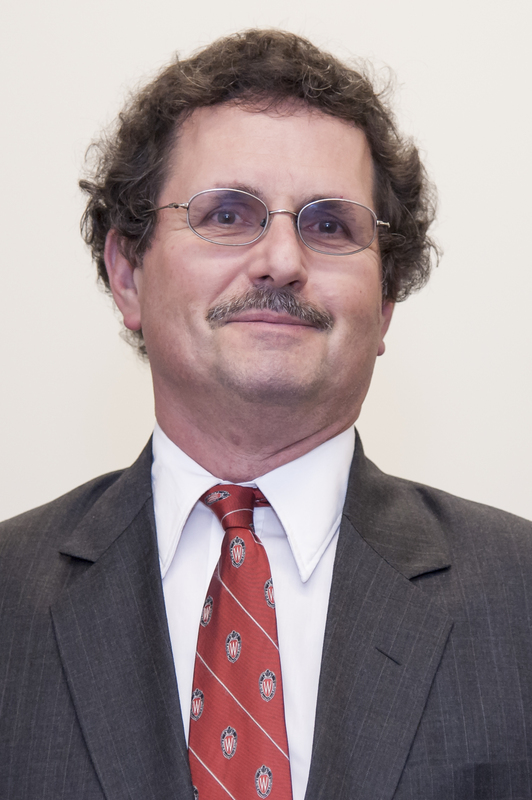 SOCIETY AFFILIATIONS: American Association of Pharmaceutical Scientists (2007, 2010-present); Councilor, Rhode Island Section (2012-present); Division of Polymer Chemistry (1986- 1993); Program Chair (1999-2006); Division Chair-Elect (1998, 2006-2007); Division Chair (2000-2001, 2008-2009); Division of Small Chemical Businesses (1995-Present); Division of Business Management and Development (2005-Present); Division of Medicinal Chemistry (2000-Present); Division of Organic Chemistry (1983-Present); American Chemical Society (1977-Present). Head of Chemistry, September, 2009 through May, 2011, CSCS Corporation. Responsible for all aspects of laboratory operations. Prepared and fulfilled proposals for contract/consulting opportunities, with special emphasis on process development and troubleshooting of chemical manufacturing issues. Manufactured specialty silicones under cGMP for use in medical devices. Prepared deuterium labeled DEA Schedule II substances as MS reference standards. Assistant Director of Research and Development, January 2006 through November, 2008; Principle Scientist of Research and Development, September, 2002 through December, 2005, Rhodes Technologies (Affiliated with Purdue Pharma). Technical management, hiring, training and supervision of a group of 11 Ph.D. level scientists. Responsible for a $3M Budget. Daily interactions with Manufacturing, QA, QC, Engineering Services, Analytical R&D, EHS, Business Development and other corporate functions to expand the product offerings of the company. Successful development, transfer and scale up of multi-step processes from lab to full scale manufacturing. Evaluated and recommended CMOs to the CMC team. Arranged and managed the manufacturing of pre-Phase I and Phase I drug candidates for Purdue Pharma and its overseas partner with Contract Manufacturing Organizations and served as CMC sub-team member. Hands on experience in multi-gram to multi-kilo scale prep HPLC of several drug candidates. Extensive experience, including development and cGMP synthesis, of highly potent and DEA regulated drug substances, including Schedule I compounds and Schedule II opiates. Developed manufacturing and purification processes for DEA Controlled Substances including hydrocodone and THC. Global Pharmaceutical R and D, Senior Research Development Scientist, 1993 through 2002, Abbott Laboratories.Conducted process research and coordinated multiple cGMP campaigns, including materials, directions and documentation for ABT-578, a rapamycin derivative targeted for use in a cardiac care device. Planned and supervised the activities of one technologist/chemist. Developed a new synthesis for Pemoline (a DEA Controlled Substance) eliminating by-product formation and 30+% increase in isolated yield. Brought the process to the pilot plant. Patent Issued. Discovered that racemic Pemoline can spontaneously resolve during manufacture, and how this process can be controlled. Streamlined the process for ABT-594, a cholinergic channel modulator, eliminating the need for a hydrogenation step and intermediate isolations, as well as eliminating a potentially mutagenic by-product. Synthesized impurities for toxicology lots of ABT-627, an endothelin antagonist. Improved the synthesis of Clindamycin, using designed experiments to minimize the use of carbon tetrachloride, with significant environmental and cost benefits. Synthesized reference standards, polymeric drug delivery materials. Extensive experience with process justification experiments and process validation protocols, and preparation of CMC sections for FDA filings. Senior Research Chemist, December, 1985 through December, 1989, The Dow Chemical Company. Synthesized and scaled up photocrosslinking agents for use with a photoimagable polymer system. Scaled up a process that provided over 80 pounds of a high temperature composite matrix monomer for internal and external (NASA, Boeing) use, recovering an additional useful monomer from the process stream. Designed, synthesized and polymerized new co-monomers for cis-poly(benzoxazole), a high tensile strength liquid crystalline polymer. Scaled up a polymer fractionation process that provided material with a special molecular weight distribution for photoimagable thin film/electronics applications. Improved the process, maximized yields, tripled throughput and minimized waste streams through recycling. Department of Chemistry, Adjunct Faculty, 1988 through 1992, Saginaw Valley State University. Developed curriculum and taught Freshman Chemistry lecture and Advanced Organic Chemistry laboratory sections at Saginaw Valley State University. Corporate Research and Development, Research Chemist, 1976 through 1979, Chrysler Corporation. Development work on automotive “3-way” oxidation/reduction catalytic converters. Landing that first job: Then and now. Bonk, Pete CSCS Corp., West Warwick, RI USA Book of Abstracts, 242nd ACS National Meeting & Exposition, Denver, CO, United States, August 28-September 1, 2011 YCC-2. Spontaneous resolution and interconversion of enantiomers in 2‑imino‑5‑phenyl‑4‑oxazolidinone (Pemoline). Bonk, Peter J.; Pan, Yi; Ulrey, Stephen S.; Suarez, Lydia J.; Schmit, Joseph L Abbott Laboratories, North Chicago, IL, USA. Book of Abstracts, 218th ACS National Meeting, New Orleans, Aug. 22‑26, 1999: ORGN‑538. Study of the Mechanism for Poly(p‑phenylene)benzoxazole Polymerization‑A Remarkable Reaction Pathway To Make Rigid‑Rod Polymers. So, Y.‑H. ; Heeschen, J. P.; Bell, B.; Bonk, P.; Briggs, M.; DeCaire, R. Macromolecules 1998, 31(16), 5229‑5239. Diketone bis‑benzocyclobutene as a high‑performance matrix resin. Bruza, Kenneth J.; Bonk, Peter J.; Harris, Robert F.; Kirchhoff, Robert A.; Stokich, Theodore M., Jr.; McGee, Robert L.; DeVries, Robert A. Mater. Sci. Dev. Lab., Dow Chem. Co., Midland, MI, USA. Int. SAMPE Symp. Exhib. 1991, 36(1), 457‑68. Net [3 + 2]‑type heterocyclic syntheses via organostannanes and palladium chemistry. Bonk, Peter Joseph. Univ. Wisconsin, Madison, WI, USA. (1985), 359 pp. From: Diss. Abstr. Int. B 1986, 47(3), 1057. On the nucleophilic nature of a TMM‑PdL2 intermediate: a direct palladium catalyzed addition of trimethylenemethane to heteroatom unsaturation. Trost, Barry M.; Bonk, Peter J., Dept. Chem., Univ. Wisconsin, Madison, WI, USA. J. Am. Chem. Soc. 1985, 107(26), 8277‑9. Diastereoselective [3+ 2]‑type heterocyclic synthesis via [2‑(acetoxymethyl)‑3‑allyl]tri‑n‑butylstannane. Trost, Barry M.; Bonk, Peter J., Dept. Chem., Univ. Wisconsin, Madison, WI, USA. J. Am. Chem. Soc. 1985, 107(6), 1778‑81.